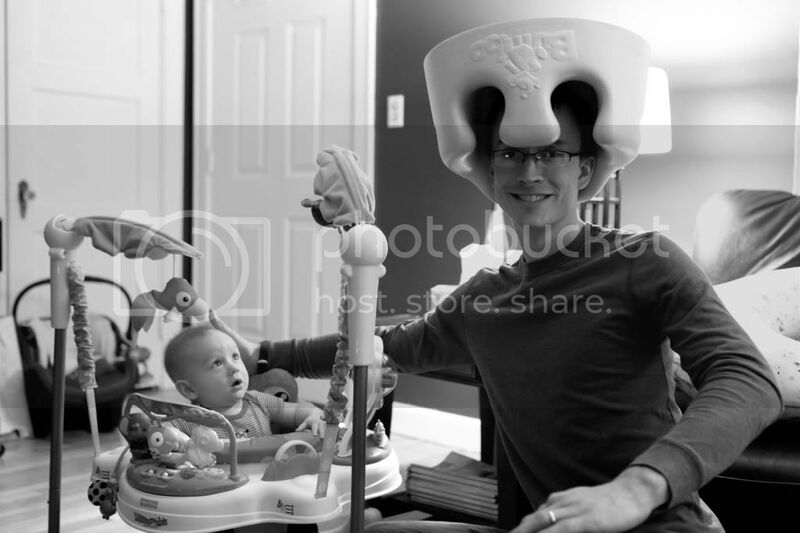 Ummm...Daddy why are you wearing my bumbo seat on your head? I love the look on your face Reid. I love that you have a silly Daddy who loves to have fun with you.